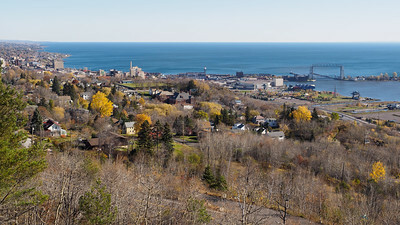 Scenes from the trail in Duluth, mostly. 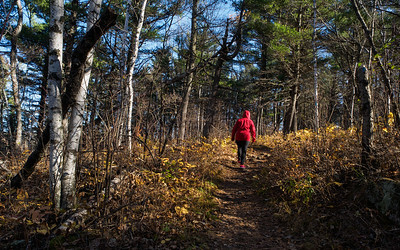 The trail extends 300 miles along the Northern U.S. shore of Lake Superior. 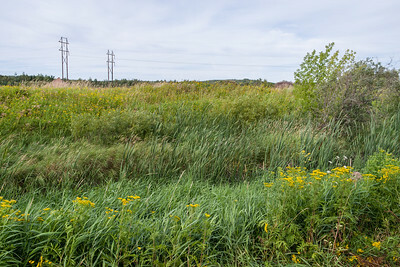 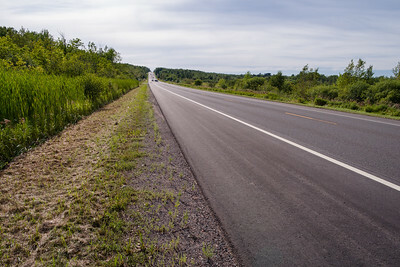 Martin Road, just East of Duluth. 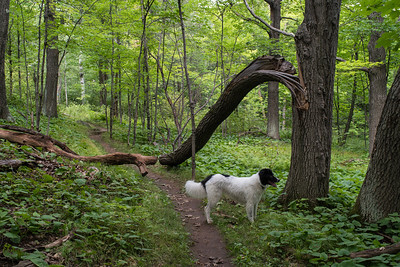 You have to walk 1/5 of a mile along the side to come to the next trailhead. 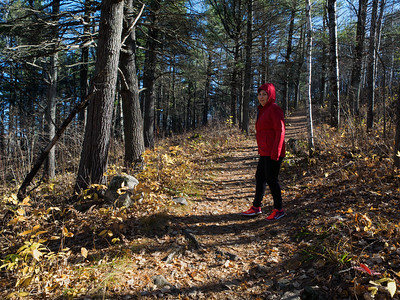 You share the North Shore Scenic Trail for several miles, a wide, grassy snowmobile path through flat, brushy woods. 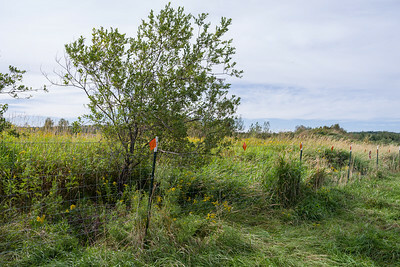 The trail cuts between private property, with a fence on both sides. 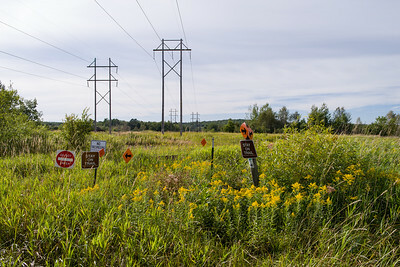 The West side of the trail. 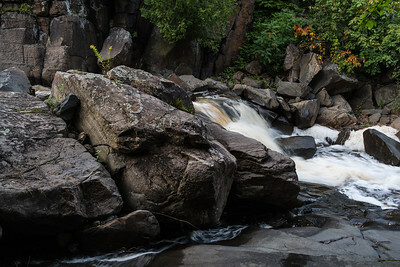 Seen from Martin Road on the way to the trailhead. 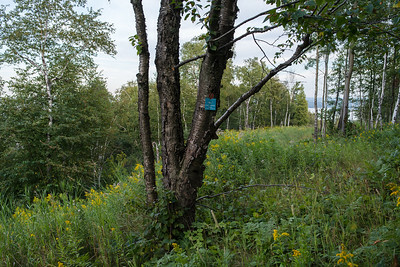 The typical blue marker and red badge indicating the Superior Hiking Trail and the foot traffic only rule. 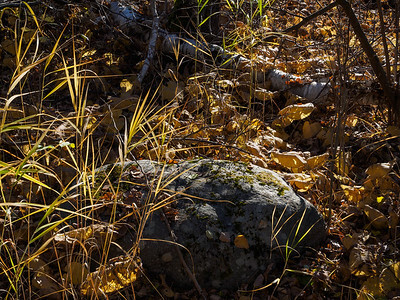 Rocks and late summer color on Kingsbury Creek. 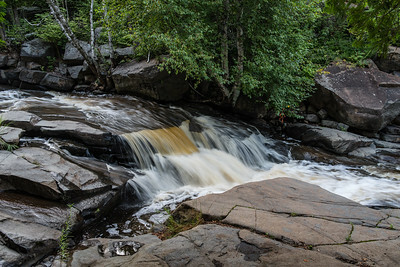 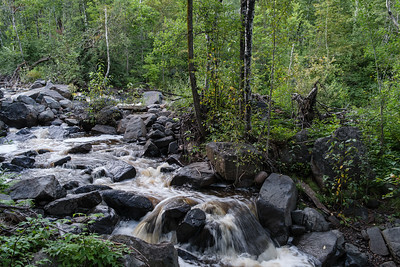 Kingsbury Creek runs down West Duluth through Lake Superior Zoo. 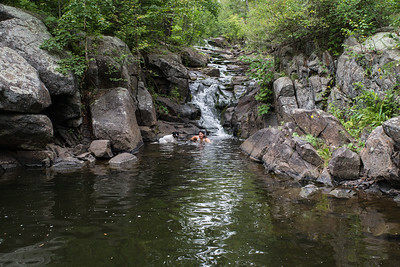 My wife enjoying a swimming hole in Keene Creek. 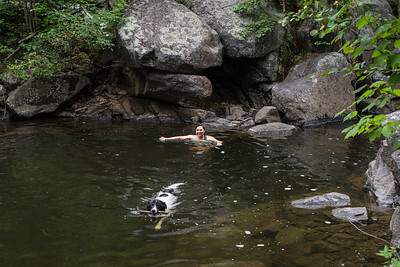 My wife Mary and oud dog Junie cook off in Keene Creek. 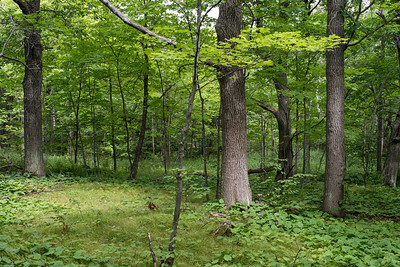 Some large oak and maple trees open up the understory along Peace Ridge. 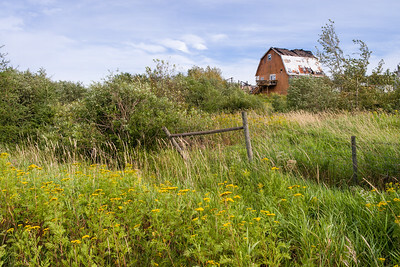 A recent storm caused extensive damage, though mostly to the East side of town. 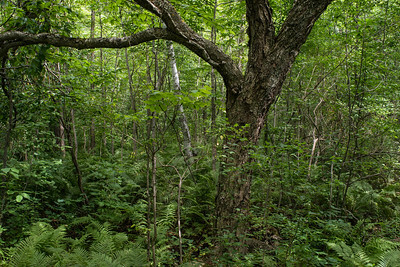 Trees and foliage on the Peace Ridge section of the trail in West Duluth. 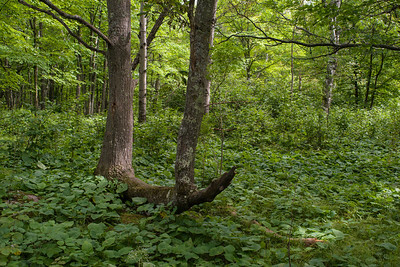 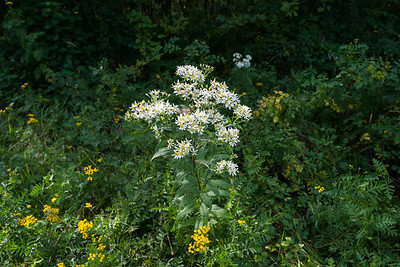 It can be hard to find a photo in the chaos of the greenery. 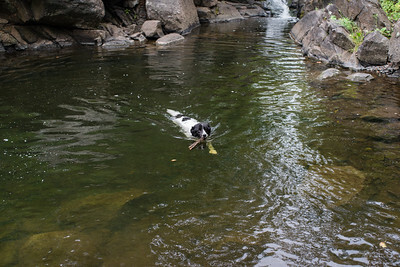 Our dog enjoys Keen Creek. 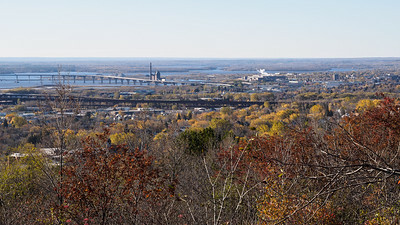 The lift bridge seen from the Peace Ridge section of the trail. 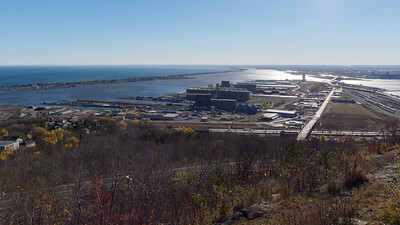 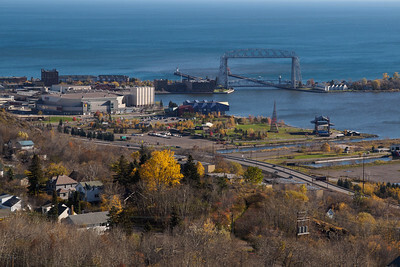 Duluth's industrial harbor in the St. Louis River estuary.